Metal Magic was founded in 1988 by Charlie and Donna Brown with the simple mission of creating premium quality dies, offered at affordable prices, and manufactured in a dependable and rapid turn around time. Many years have passed, and over a million dies have been successfully crafted, yet the friendly customer service and down home customer care which defines Metal Magic is still alive and thriving. In 1988, Metal Magic proudly opened its doors with Charlie etching the dies and Donna taking orders and managing the books. The small operation was moved from its temporary location to a leased shop space in 1989. With the help of a fork lift and a midnight moving crew, Metal Magic established its first solely occupied plant and officially became a corporation in the state of Arizona. Metal Magic continued to successfully produce quality dies for Arizona, and quickly became known throughout the country as a leader in copper die manufacturing. The nationwide reputation rapidly increased our demand for quality copper dies, and just five years after setting up shop in our first location Metal Magic purchased a 9,000 sf manufacturing plant to enable future growth. Copper die orders continued to grow at a staggering rate, and Metal Magic believed technology was the key to continued success in the future. 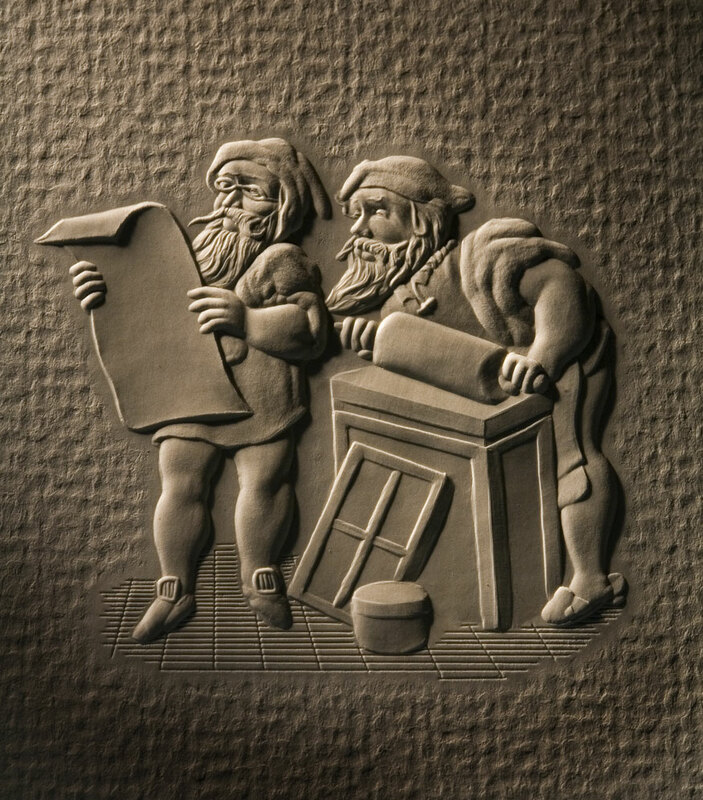 Therefore, in 2001 the company created a CNC department and introduced one of the industries first computer driven milling machines for engraving dies. The investment in technology was so successful, a year later Metal Magic created an entire brass engraving department with multiple CNC machines and hand engravers. The rapid expansion included Metal Magic's purchase of Perspectives Engraving. In 2003, history repeated itself and Metal Magic had already outgrown its recently acquired manufacturing space. So, the company purchased property next door and built a new facility to operate in conjunction with the existing space. One year later, Metal Magic proudly opened its doors in the East through the acquisition of Redeen Engraving in Chicago. The nationwide success Metal Magic created by servicing customers through two locations has been tremendous. In 2005, Metal Magic proudly acquired Cordell Engraving, upon Bob Cordell's retirement from the industry. Although our company has grown rapidly to become a global leader in copper and brass die manufacturing, the same mission applies to every die today as it did when Charlie and Donna first opened the doors for business. Metal Magic's very first employee, Shawn Laidler, is our production manager and still oversees every die shipped to our customers each day. The culture created at Metal Magic through employees like Shawn has allowed our company to grow rapidly while maintaining exceptional quality at affordable prices. In fact, did you know Metal Magic has never raised its prices in all the years of making quality dies? As you can see, our history is scribed with rapid growth and a solid reputation…we are excited to see what magic will be created in the future! Metal Magic is committed to promoting a greener future. When you order dies from Metal Magic, you are ordering from a Green supplier! See your project come to life with Metal Magic. Angled edge of embossed or debossed image. Photoetched copper dies have a bevel of 35 to 45 degrees. Bevel can be specified on brass dies, usually ranging from 35 to 75 degrees. Blind refers to any operation that does not register to another process, for example, embossing to printing or embossing to foil. The counter forces the paper completely into the contours of the die so that all detail in the die is realized. Most suitable for multi-dimensional dies, either hand tooled or CNC milled. Not suited for acid etching like copper. Embossing or debossing using high heat that will discolor the paper. V shaped embossing or debossing produced with brass dies. Dies that foil stamp and emboss or foil and deboss in one press run. Very suitable for photo etching. Good for long runs, fine details and heavy coverage. Mold of emboss or deboss die that makes the paper conform to the original die. Prepared by die maker or produced on press. The process of recessing an image below the original surface of the paper. Rounded relief of embossing or debossing die. 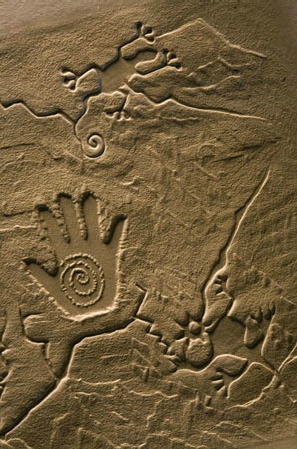 Raising an image above the original surface of the paper. Transferring foil to a surface with heat and pressure. Shrinking a die to allow for expansion when it is heated to stamping temperature. Most commonly used on foil dies when registering to printing or embossing. Copper expands roughly 1/32" over a 20 inch length when heated from 70 degrees (room temperature) to 250 degrees (stamping temperature). Printing from plates with a recessed image that ink has been forced into. Paper is brought in contact with the plate and the ink transfers out of the recessed image. 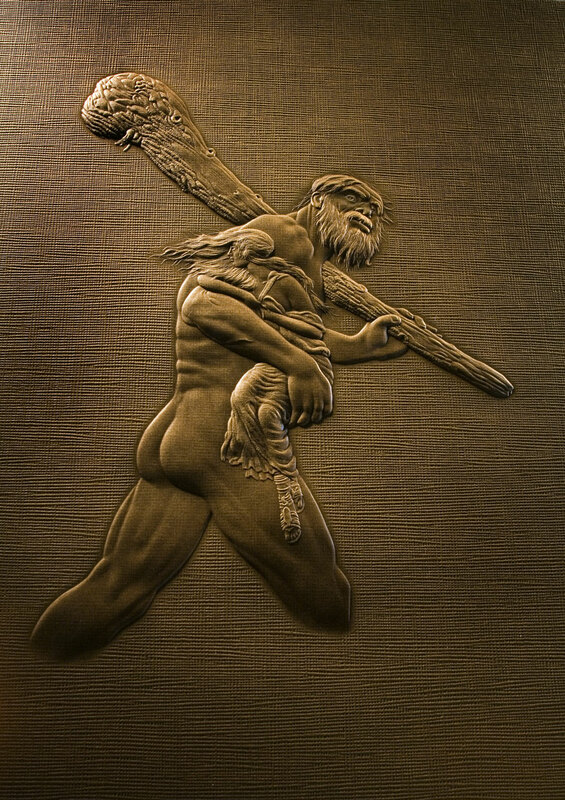 Photoetched 16 gauge copper plates are used for shorter run engraved products replacing steel. Embossing that fits to a printed or foil stamped image on the press sheet. Foil stamping that fits to a printed image or foil stamped image on a press sheet. Embossing relief without an angled bevel. Hand tooled dies with realistic detail, usually brass. Thanks for contacting Metal Magic. We will dig in to your email and get back to you.